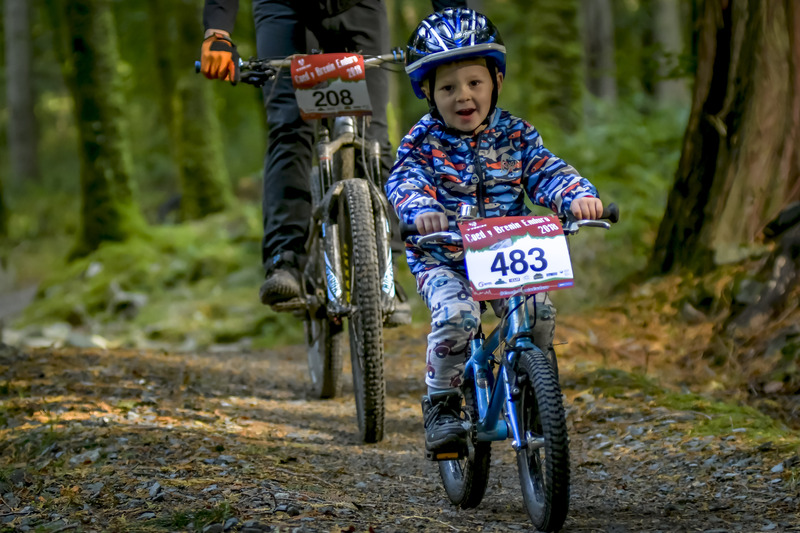 Putting the downpours of our 2017 event behind us the event weekend kicked off with the popular Nippers n’Rippers kids Enduro. 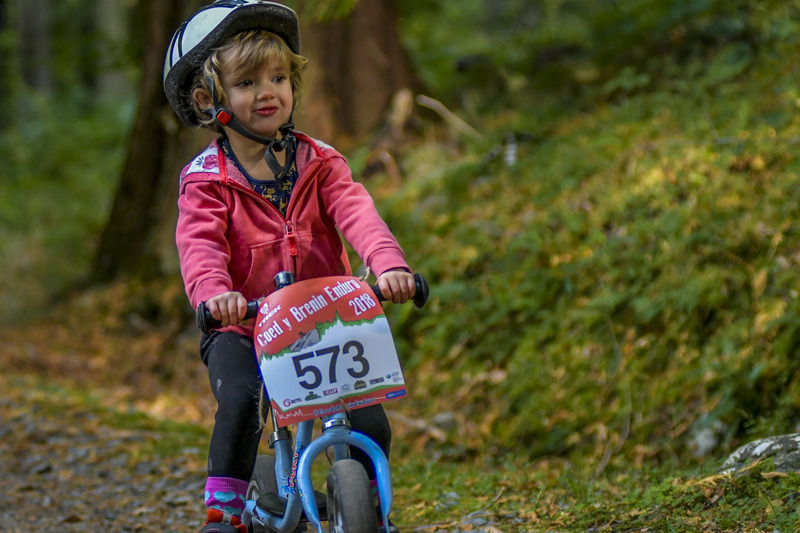 Saturday morning saw an explosion of smiling young faces to sign on, all ready to take on the challenge of 3, 8 or 12.5km ride challenges at Coed y Brenin. 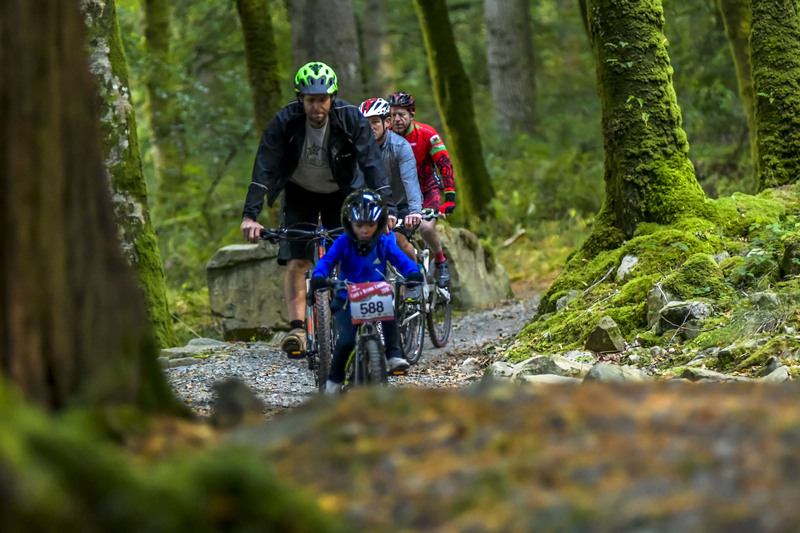 Dry trails were a treat as young adventurers began their rides, leafing the hustle and bustle of the visitor centre behind them and venturing out into the forest. 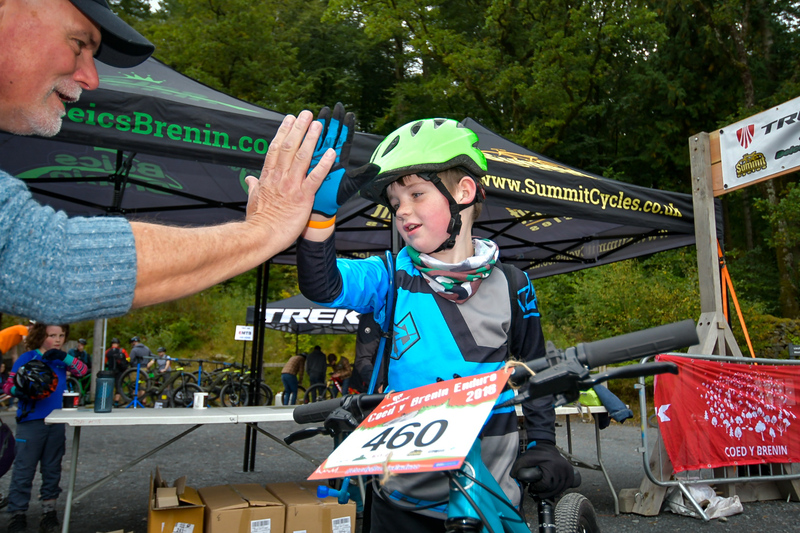 The event this year saw its best turn out to date with over 200 young riders registered by Saturday morning. 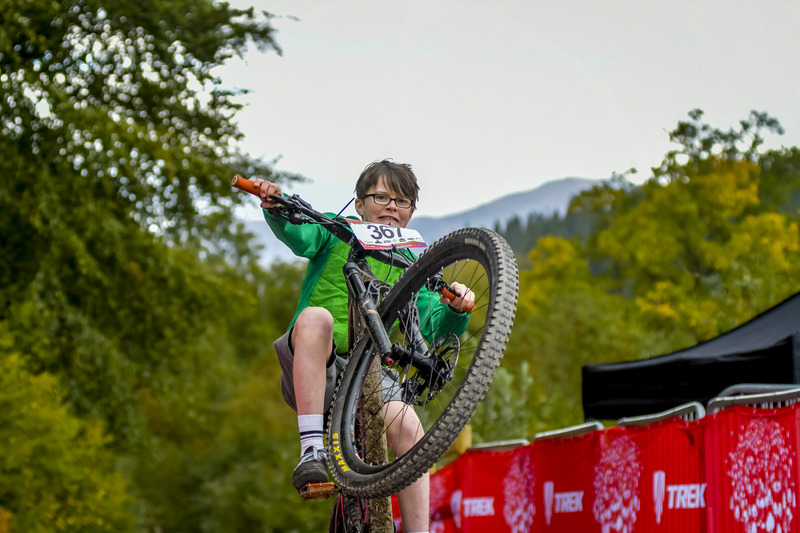 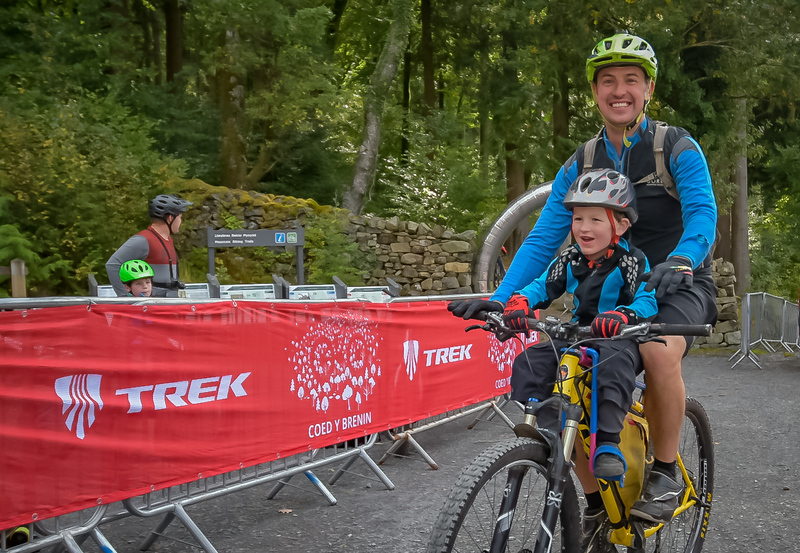 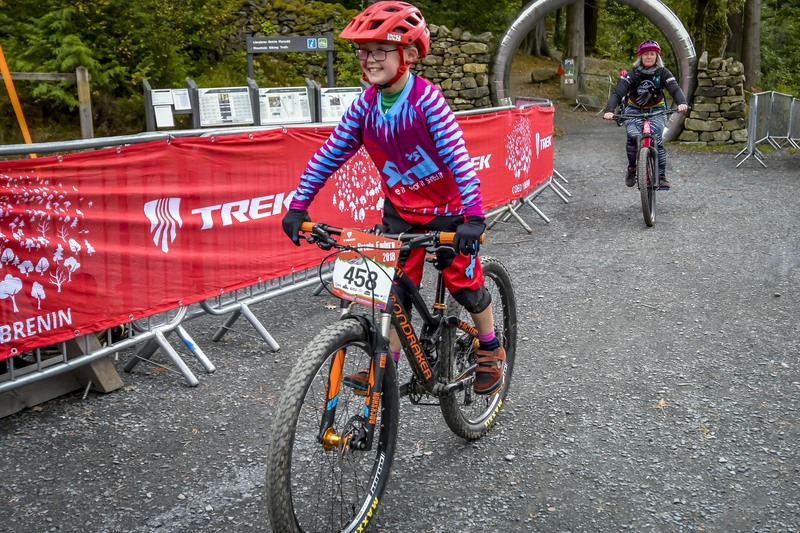 The event features an ‘open start’ allowing riders to begin the challenge at any time the start is open, allowing plenty of time and flexibility for both children and kids to relax and enjoy the trails, completing their distances at a safe comfortable pace. 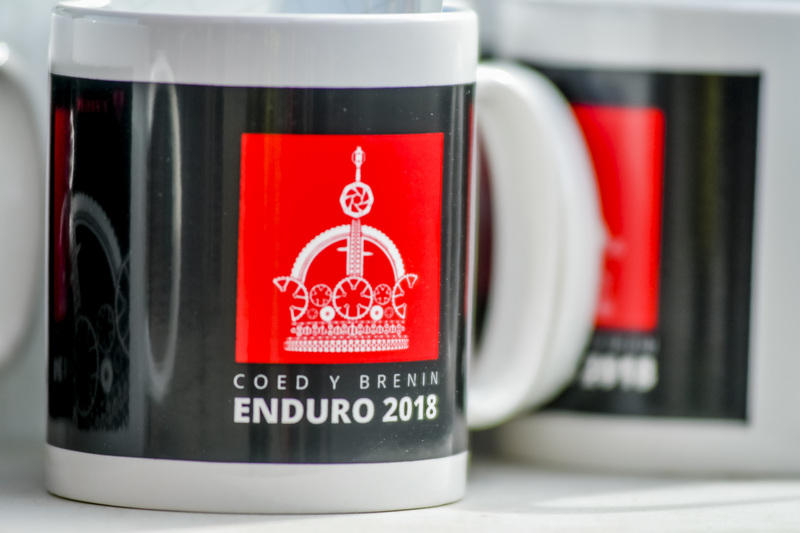 Arriving back at the finish they received an event mug and hot chocolate for their efforts. 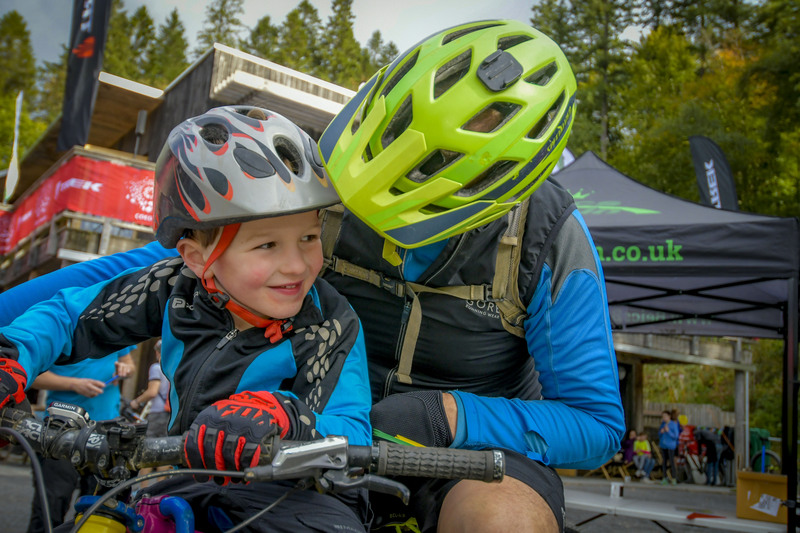 The event was a huge success. 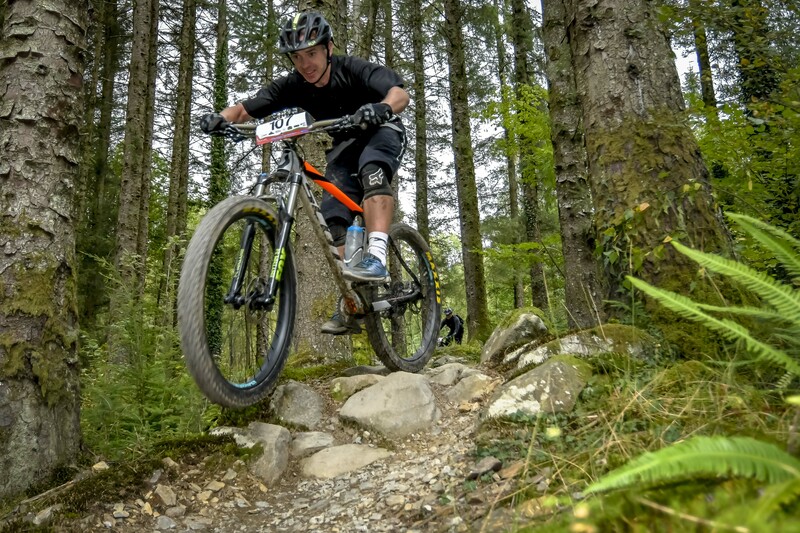 Everyone present couldn’t fail to go away feeling positive for the future of our sport. 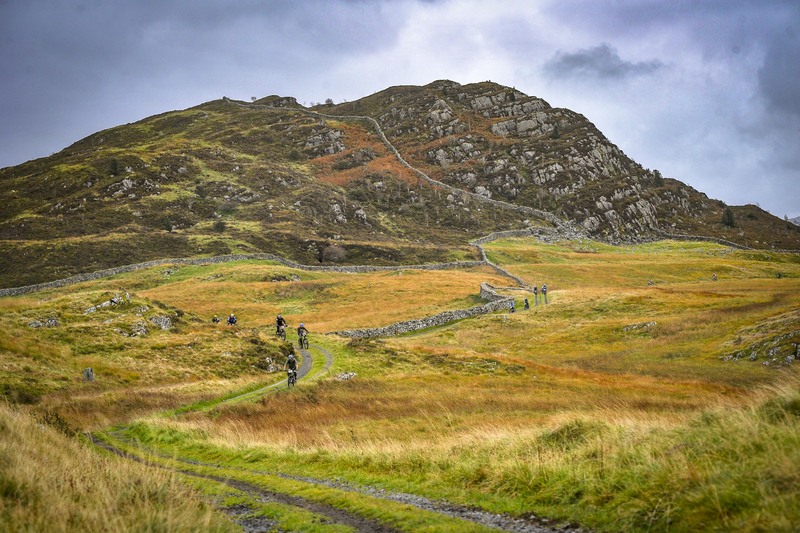 With a cool, dry start and the promise of a rain-free day ahead things were looking good. 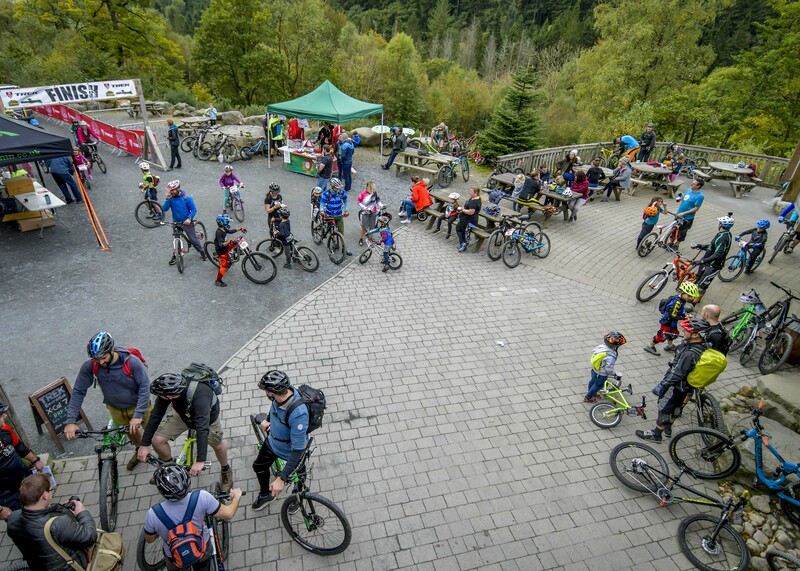 Sign on saw a steady flow of riders picking up their numbers ready for the 10am start. 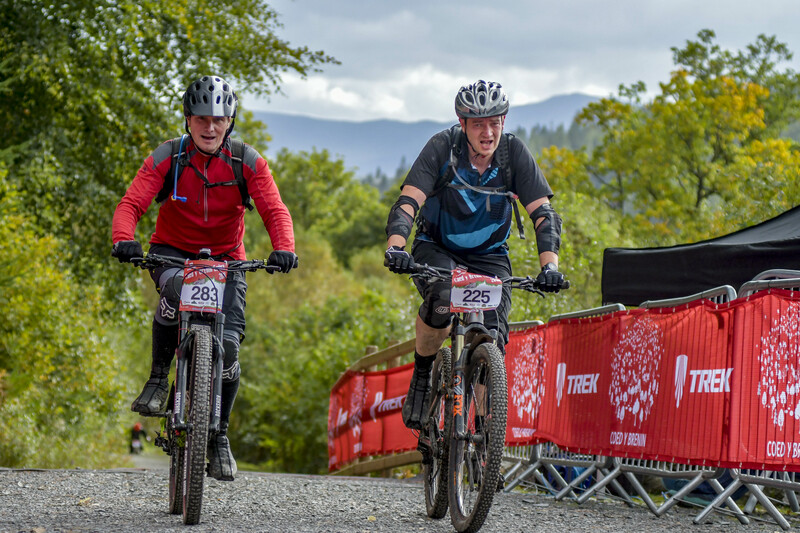 This year saw riders taking on 17, 22 or 42km route challenges of increasing physical and technical challenge. 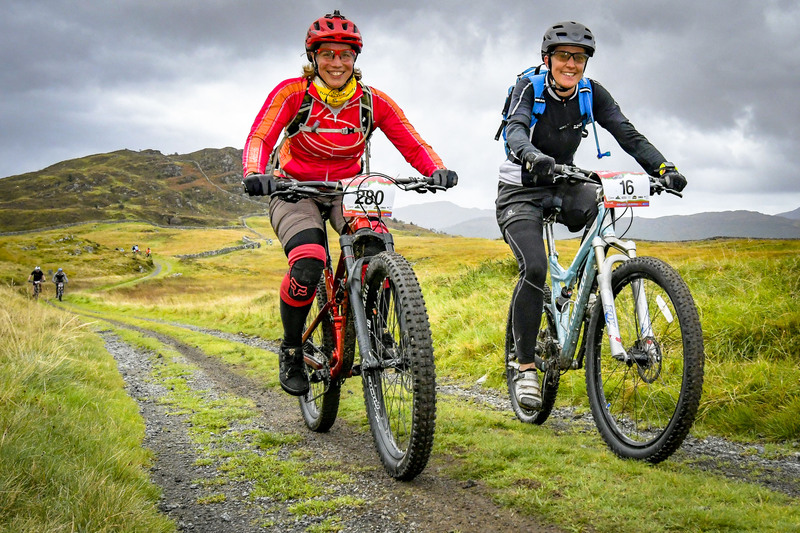 Started just after 10am with the ride began with all route events heading North taking riders beyond the margins of the forest park, out into open country and offered some spectacular views of the southern Snowdonia mountains. 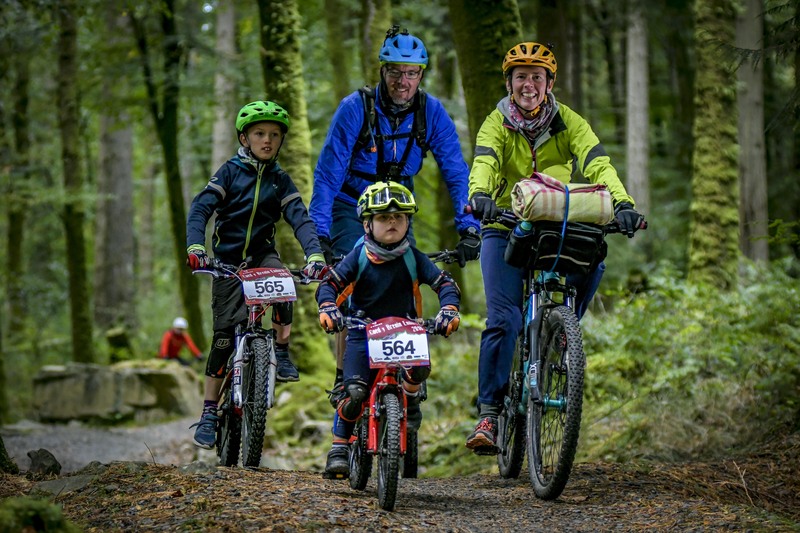 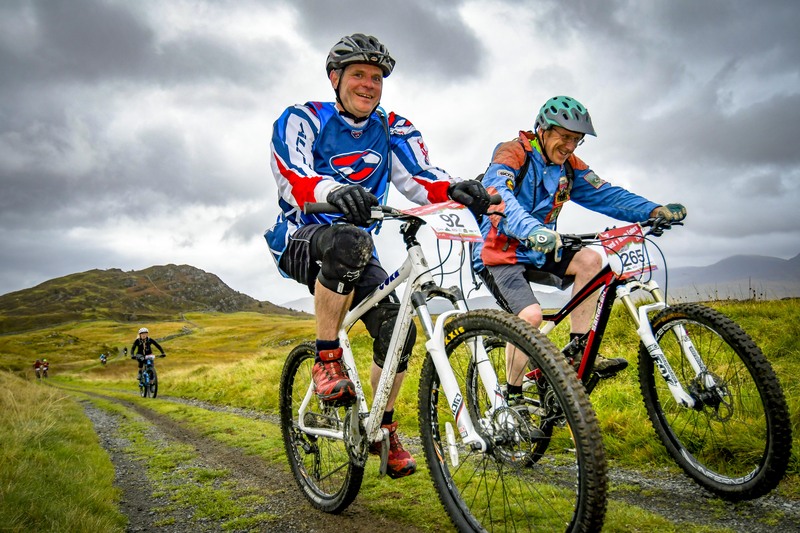 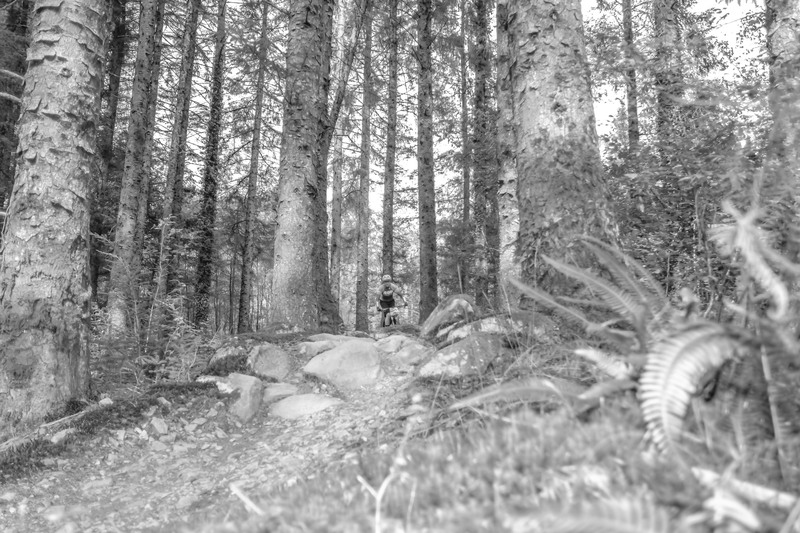 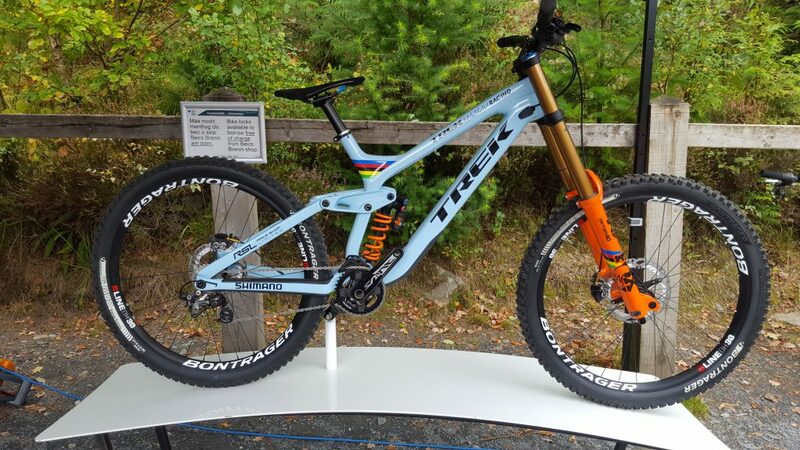 After the challenge of the open mountain, riders plunged back into the forest with the route taking in some Coed y Brenin classics and some old favourites that you won’t find on the trail maps. 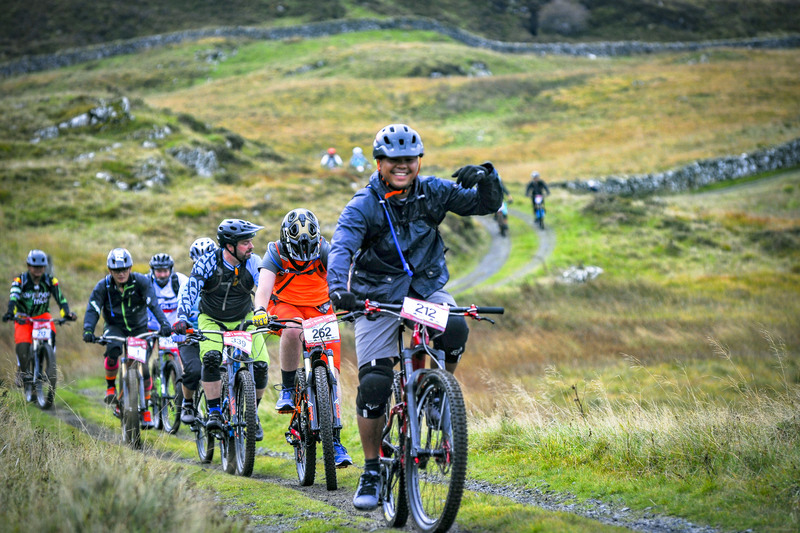 The first riders home were riding the 17km route, soon followed by the faster riders of the 22km with the fastest riders of the 49km route not far behind them. 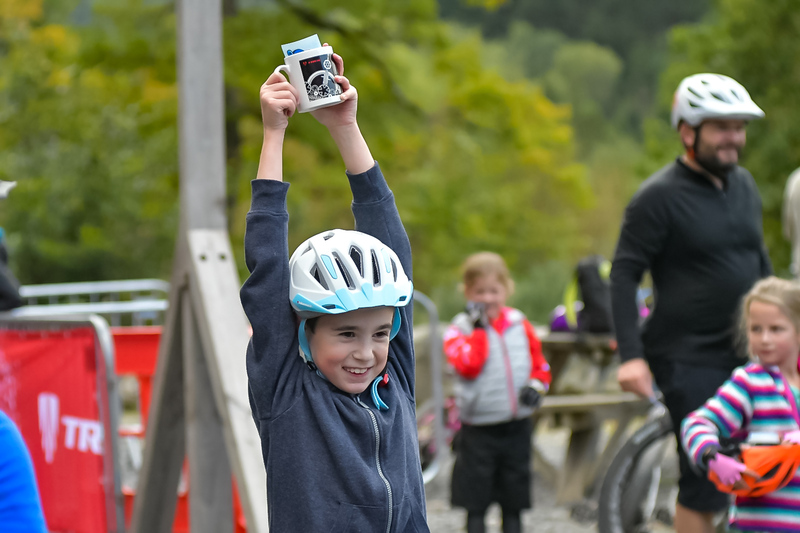 The finish area soon began to fill up with returning riders collecting their event mugs and cheering on the other finishers. 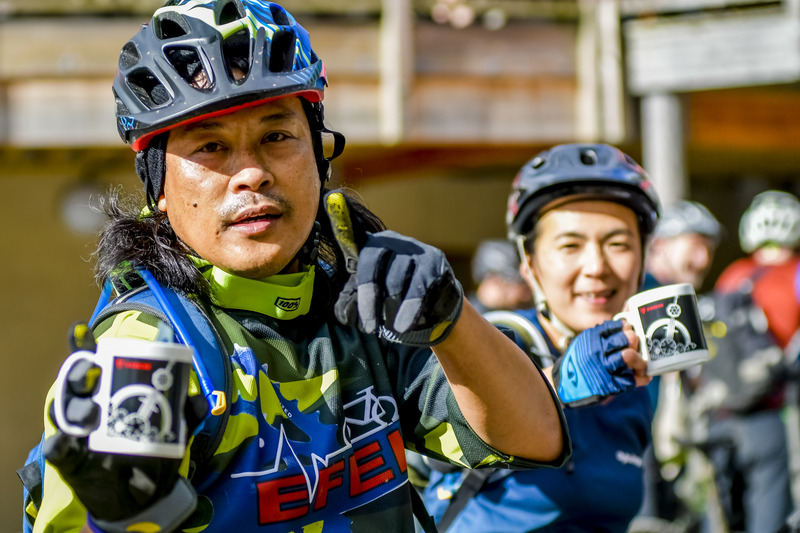 Everyone looked exhausted but happy with some triumphant beaming smiles and cheers as riders crossed the finish line. 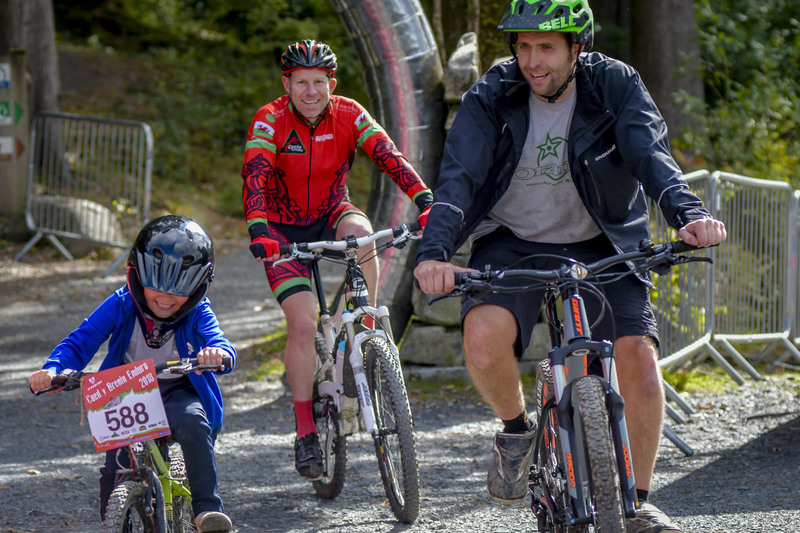 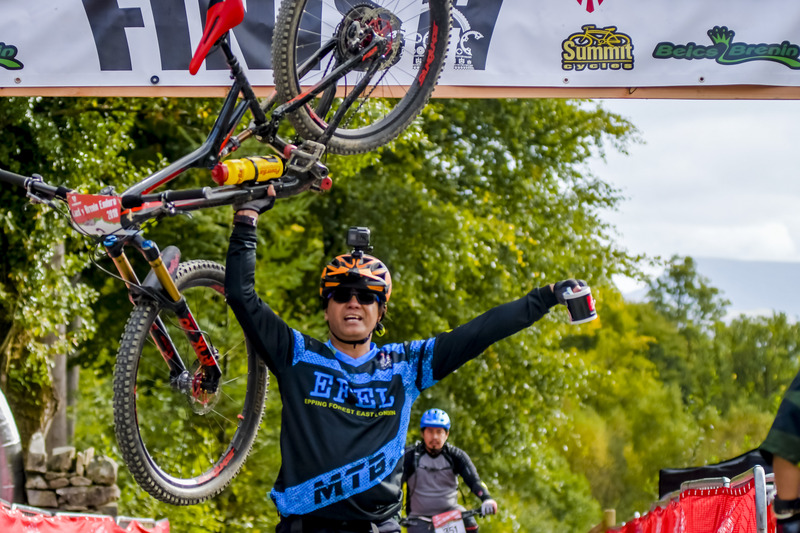 Our thanks go to all who rode in the event and brought such tremendous spirit to Coed y Brenin.